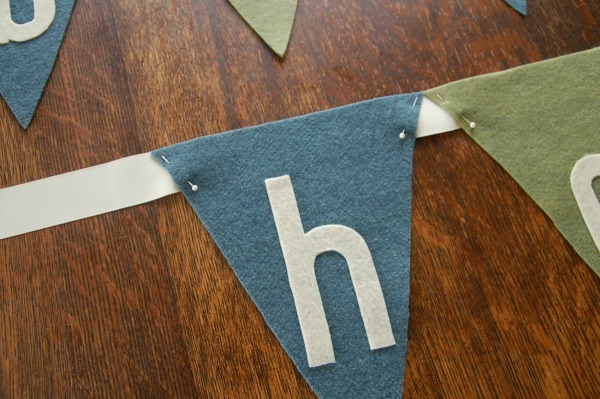 A homemade banner has been on my must-make list since Rowan's 1st birthday. 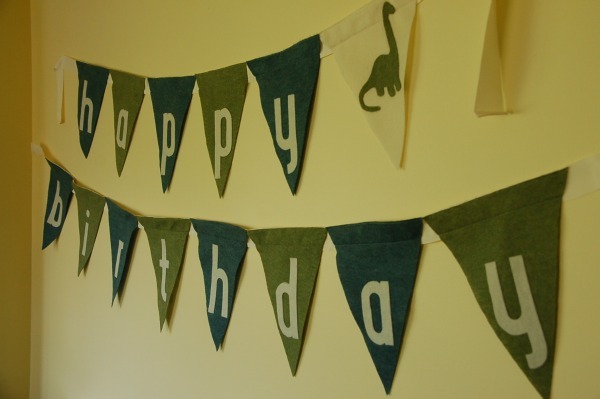 He's turning two next week and I got my act together and made him a felt and ribbon banner to fit into his dino-themed party. Yay me! 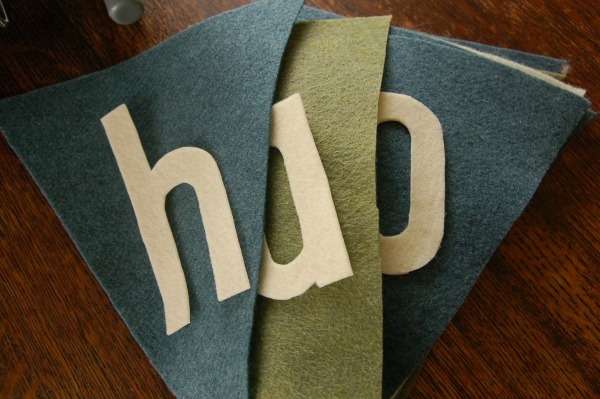 Felt; 7 sheets (8.5 x 11") each of two co-ordinating colours and 4 for lettering. 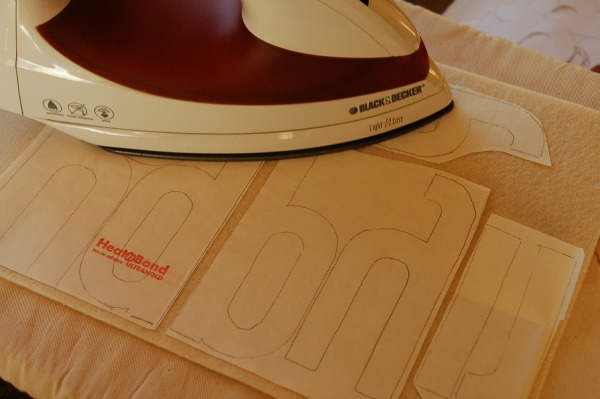 An iron and ironing board, iron-on transfer paper (such as Heat N Bond or Wonder Under), sharp scissors, lettering (I used 'Airplane' which you can download for free if you type in '0' for the donation amount. It's kind of a jerk move, but I have a hunch that a lot of people do it), 5.5 m of 4cm (6 yds of 1.5 inch) wide ribbon and a pencil. 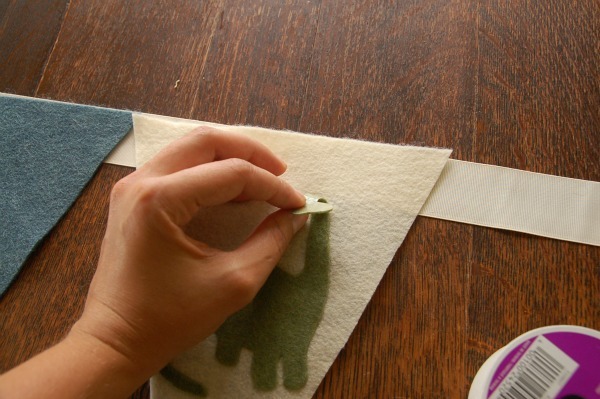 Depending on whether you want to sew the pennants on or glue them, you'll also need straight pins and a sewing machine with co-ordinating thread or fabric glue. Print out your lettering (I used airplane in size 500) and cut them out. 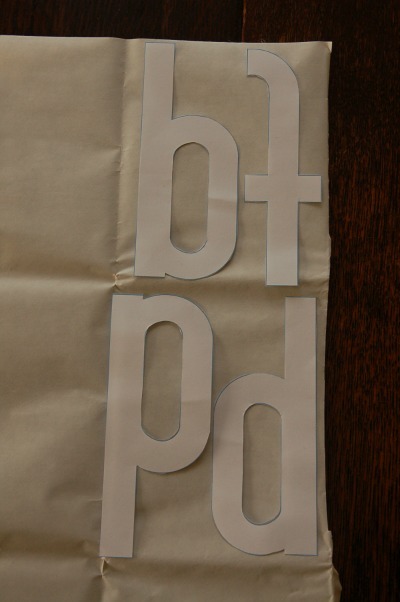 I noticed that the 'p', 'd' and 'b' were essentially all the same (just flipped around...it was a "duh, Anne" moment) when I cut them out, so you can save paper if you use this font and just type out one of them. 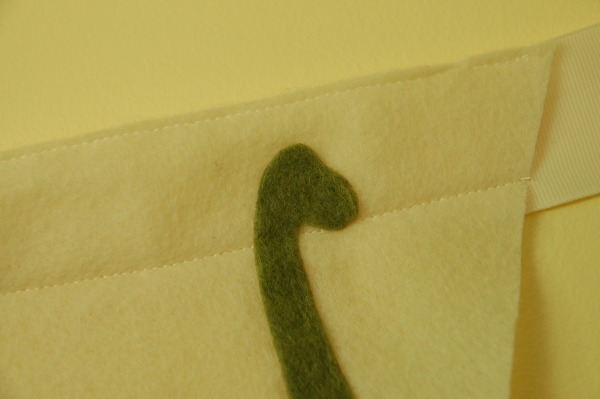 I also cut out a dinosaur (a brontosaurus - I'm becoming reacquainted with dinosaur species) silhouette just for kicks. Arrange them on top of the paper side of the transfer paper reversed and trace around them with the pencil. 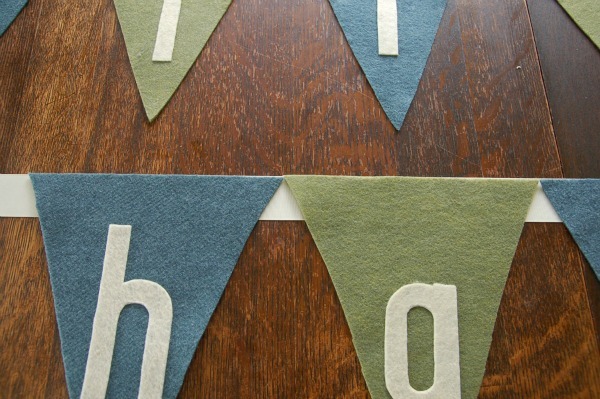 Cut around a few groups of letters (don't cut out the letters yet) and arrange them on top of the felt. Iron according to the transfer paper directions. 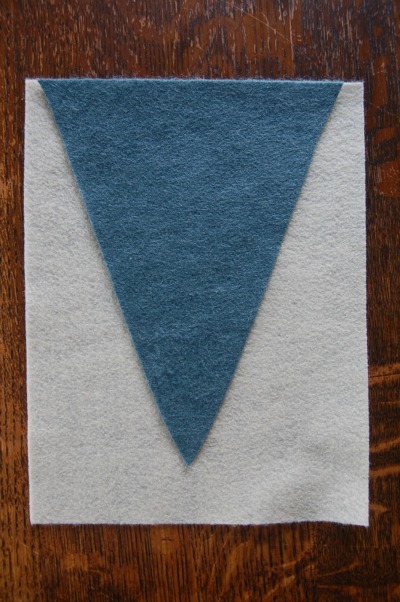 Cut a large triangle out of the coloured felt, I left about 5cm (2") off the bottom. 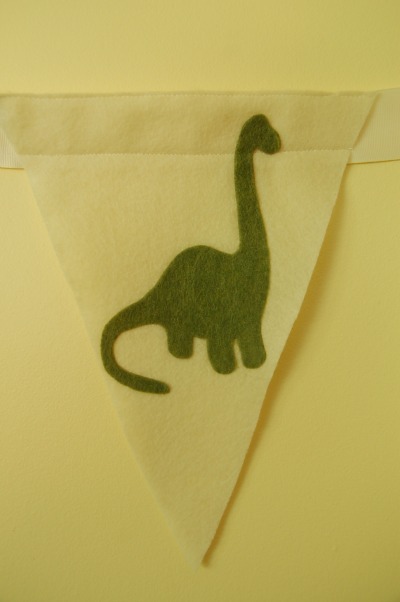 I wanted to do a blue-green-blue-green pattern with the dinosaur on a ivory pennant at the end of 'happy'. 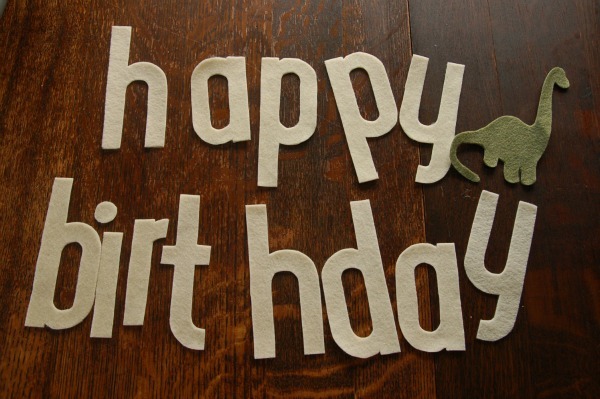 To make sure I didn't fudge it up, I layed out all the triangles in the pattern and placed the letters in order. 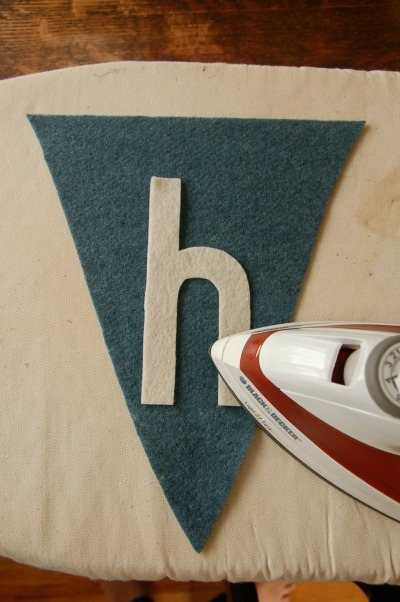 Peel off the paper backing and iron letters onto the pennants. 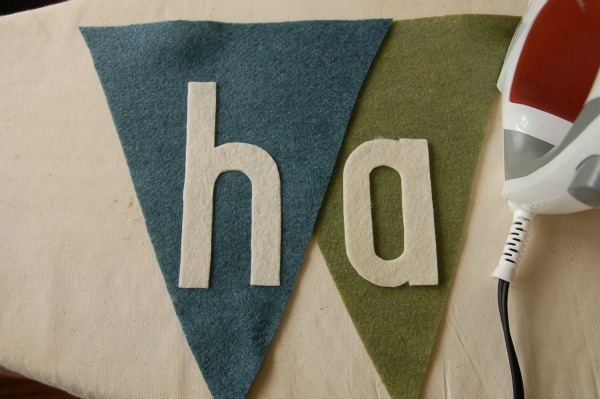 Be sure to place the letters on the same spot on each pennant. I used the first 'h' to keep me on track. 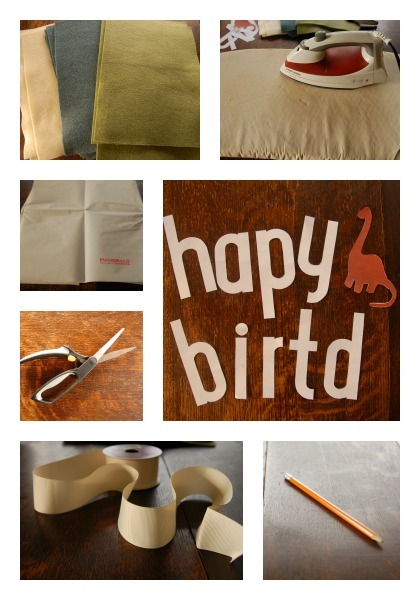 The dinosaur's head was a little too tall and would have been run over by the sewing machine. I left it un-ironed until after the banner was sewn. If you're gluing the triangles on, it doesn't matter. 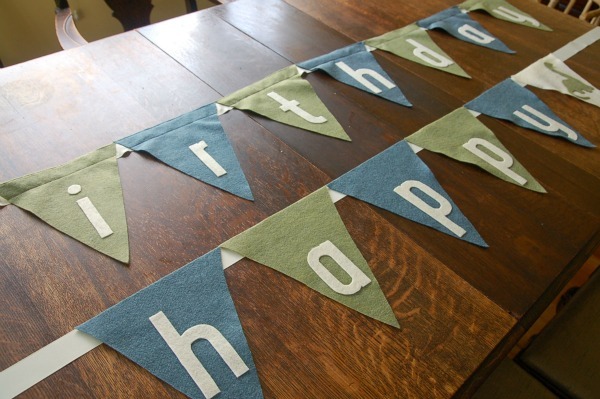 My banner ended up being H-U-G-E, so I split up the 'happy' and the 'birthday' on seperate lines of ribbon. 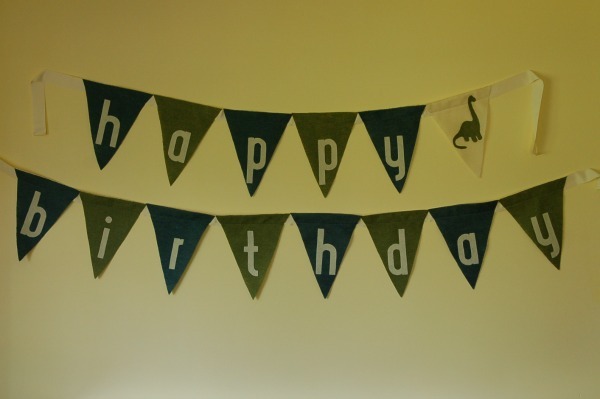 I decided I wanted the ribbons the same length, so I made up the 'birthday' banner first. 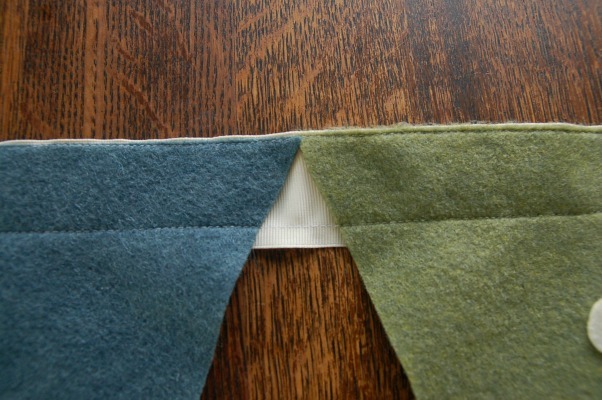 Place the pennants side-by-side on the ribbon, or over-lap them if you prefer. Pin on each end of the triangle. Obviously if you're gluing, you can skip that part. Sew with a straight stitch on the top and the bottom of the ribbon. Well done!! 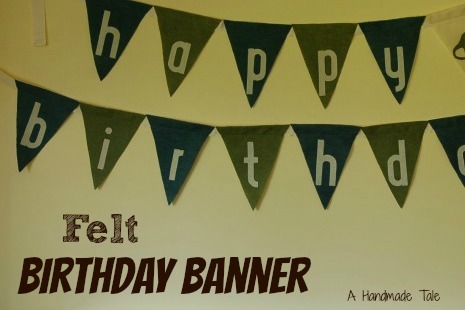 Relish your birthday banner success.